Sunflowers are pure sunshine and summer, and because of their exuberant flowers - and height - they are loved by children. 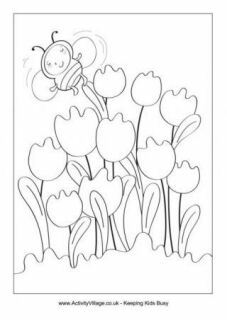 We've had some fun putting together a collection of sunflower activities that we hope you will enjoy with the kids, both in the classroom and at home! Sunflowers have large, daisy-like flowers of bright yellow petals and brown centres that ripen into heads filled with seeds. They are native to North America and were first domesticated around 1000 B.C. They are still harvested for their seeds today, which can be made into sunflower oil to be used in cooking, and are also tasty to eat as a healthy snack. In 2014, 1.7 million acres of sunflowers were planted in the United States. Sunflowers are heliotropic. This means that they turn their flowers to follow the movement of the sun across the sky. 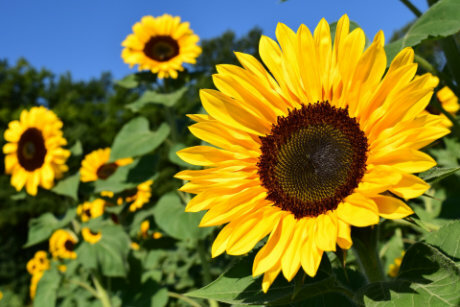 Sunflowers often grow to over 16 feet in height, with the tallest sunflower on record reaching over 30 feet tall! The scientific name for sunflowers is Helianthus, which comes from the Greek words for "sun" and "flower", and there around 70 different species of sunflowers. Sunflowers are excellent at absorbing toxins and even nuclear radiation, and millions were planted after a tsunami destroyed reactors in the Fukushima nuclear power plant in Japan. Each sunflower head can contain as many as 1,000 to 2,000 seeds. Sunflowers should be harvested in the morning. If you pick them in the afternoon they are more likely to wilt! Bring a bit of cheer indoors with these bright and colourful sunflower crafts.